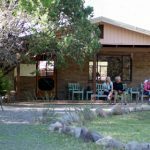 Welcome to this blog post of Cave Creek Ranch in Portal, Arizona. We hope you enjoy it. There is nothing we enjoy more than talking about our favorite place unless we are out hiking and exploring it! Please feel free to forward this to anyone who might enjoy a unique nature experience. 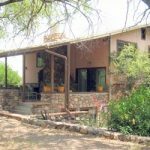 Cave Creek Ranch provides an exceptional experience in an unparalleled natural wonderland. To enhance your visit, there is no access to TV, radio or cell phone to distract you. Dozens of bird species, as well as lizards, butterflies, javelinas, deer, ringtail cats, bobcats and more are here to be studied and enjoyed. Many of you don’t think of coming in the Summer or Fall, but you should reconsider. Come see those crystal blue skies, breathe the clean air and listen to the quiet. The skies are incredible at night, with millions of stars. 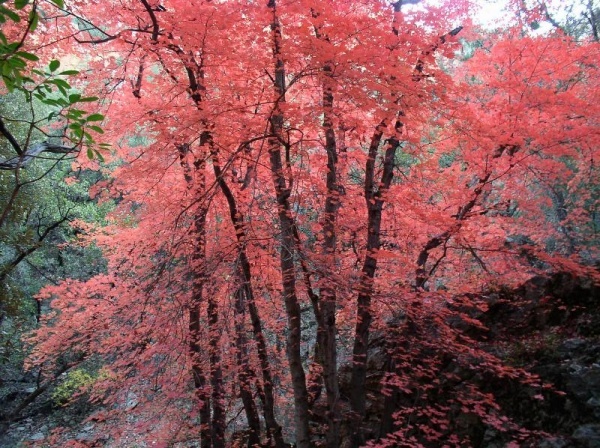 These images were taken in Fall, in Cave Creek Canyon. You can walk the trails without seeing hardly anyone. The only sounds you hear are the breeze in the trees or a woodpecker working on a tree. The red and yellow Fall leaves are so bright they almost hurt your eyes. Hello Cave Creek Ranch Friends! Being host at Cave Creek Ranch I have tried to answer many questions about the canyon over the years, and realized that there is a need for a book that would answer your questions on so many topics, from the physical nature and formation of the canyon to the animal and plant life to early peoples to modern settlement and life here. 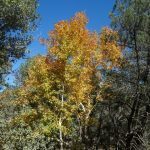 Being lucky enough to be the President of Friends of Cave Creek Canyon, I and others initiated a book project to answer many of these questions, at least at the first and second levels, that we had been trying to respond to for years. 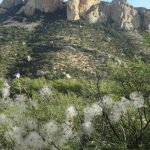 The book is Cave Creek Canyon: Revealing the Heart of Arizona’s Chiricahua Mountains, with over 40 chapters written by local experts on almost every aspect of the canyon you can imagine. Geology, early people, mammals, invertebrates, birds, and life here today are only a few of the topics. It’ll be about 260 pages, good paper with color photos and drawings. 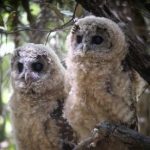 Below you will see excerpts of the Wildflowers and the Introduction to Birds chapters that will give you some idea of the quality of what we’re doing. We have been working on the book for the past year. Almost all chapters are in, layout is proceeding apace, photographs and artwork have been contributed, and we’re in the final push before printing! We hope to have books available by early December. Would you like to be a sponsor? All donors will be recognized in this and every future edition of the book. Sponsorships may also be in honor or in memory of someone, or even anonymous. Sponsorship levels start at $50, the next level at $100, then $250, then $750. Each level has increasing prominence, with the highest level sponsors having their name/logo on the back cover, next levels inside back cover, etc. We would love you to be permanently listed as a sponsor! Just think: your questions resulted in this book! So far we have received donations and pledges from 19 individuals and families, 5 non-profit organizations, and 6 local businesses totaling $9,437 toward our goal of $20,000 for our first run of 3,000 copies. A personal note: as one of the editors I’ve been reading many of the chapters, and am in awe at the knowledge our friends and neighbors are sharing with us in what will be an extraordinary book. Our next post will have more on the NEW frog pond and tadpoles…. Cave Creek Canyon has a great diversity in plant habitats with changes in elevation and topography. 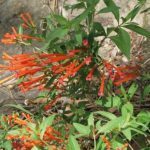 It provides opportunities for ‘botanizing’ with many seasonally different blooming plants. 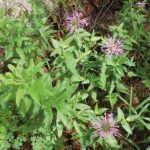 Take a walk along the forest roads, the creeks and trails, and keep a plant list of what you see. 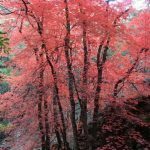 Here are three pleasant rambles where you can enjoy the plants and the scenery. The South Fork road that runs along the creek is a great place to look for flowers-especially after the summer rains have come. Start your walk along the South Fork road that parallels the creek. As you near the bridge, go close to the creek itself to see the light purple Beebalm, Monarda fistulosa menthaefolia, which is in the Mint family (formerly known as Labiateae, now called Lamiaceae), and the deep red-orange Zauschneria latifolia, or Hummingbid Trumpet, now renamed Epilobium canum in the Evening Primrose family (Onagraceae). 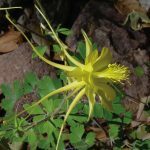 The beautiful Golden Columbine, Aquilegia chrysantha (family Ranunculaceae) also likes the damp and shady creekside location. Just before the bridge, look carefully into the deep grasses, and you may see one of our milkweeds, Asclepias tuberosa. Although Lemmon’s sage, or Salvia (Salvia lemmonii), has a limited distribution in the Southwest, it can be seen both in South Fork and on the top of the mountain. The tubular deep rose-pink flowers that bloom in the late summer are hummingbird-pollinated, and it too is in the Mint family. Different species of Globemallows, in the Mallow family (Malvaceae) flower all summer. This is one of several species of Sphaeralcea sp. in the Chiricahuas. The orange color stands out in the greens of the forest. Look for the five petals. Look for the rest of this chapter upon release of the book in December! For birds, the Chiricahua Mountains are one of the three richest “Sky Islands,” the Huachuca and Santa Rita Mountains being the others. 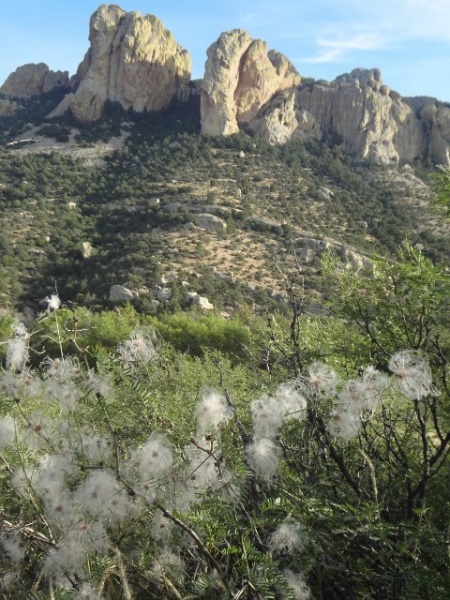 The special attraction of the Chiricahua Mountains is being able to bird in national-park-quality scenery such as Cave Creek Canyon and Chiricahua National Monument. A logistical advantage is the ready road access (winter snow aside) to all the habitats. 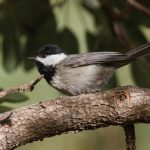 One species, Mexican Chickadee, is readily accessible nowhere else in the U.S. Missing from the portfolio is nearby lowland riparian habitat, exemplified by the San Pedro River and Sonoita Creek. 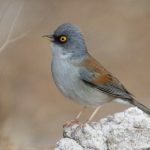 While many specialties are resident and each season brings its own appeal, striking migratory breeders are the foremost attractions of May to August. 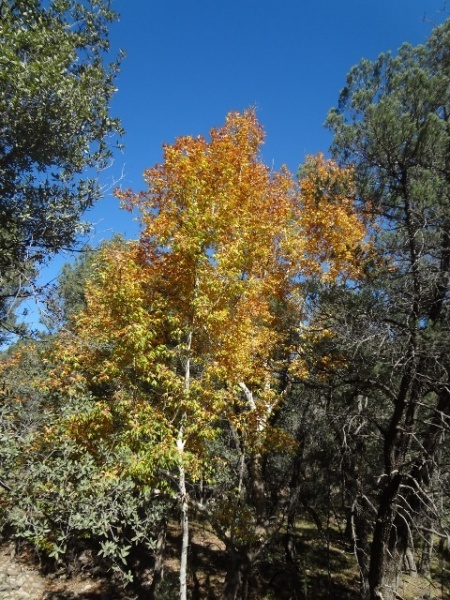 For most visiting birders, the “must see” habitat is the Encinal (Oak) Woodland, part of the Madrean Evergreen Woodland. 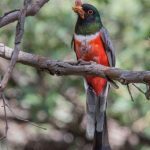 While the premier destination is Cave Creek Canyon- -especially South Fork, with the most consistent territories of Elegant Trogon — other canyons in the range such as Rucker, West Turkey Creek, Pinery, and Price offer a very similar selection of species in what may be a nearly private birding spot. Residents of the oak woodland (with its sycamore riparian areas) include Whiskered Screech-Owl, Arizona Woodpecker, Mexican Jay, and Bridled Titmouse, supplemented in the summer by Blue-throated Hummingbird, Elegant Trogon, Sulphur-bellied Flycatcher, and Painted Redstart, all centered in this relatively narrow zone (5,000-6,000′). The Encinal Woodland grades into another part of the Madrean Evergreen Woodland, the Mexican Pine-Oak community. This more even mixture of conifers and oaks encompasses the zone of maximum abundance for Mexican Whip-poor-will, Magnificent Hummingbird, Greater Pewee, Plumbeous Vireo, and Hepatic Tanager. While the Madrean Evergreen Woodland may have the greatest appeal, birders are likely to allocate just as much time to the Petran Montane Conifer Forest at upper elevations. The “star” in terms of its status in relation to the International Border is Mexican Chickadee, widespread in the Chiricahua Mountains, although often quiet and inconspicuous. The “star” in terms of biological distinctiveness in the Madrean avifauna is the Olive Warbler, a monotypic family that is a fairly common breeder in the conifers (a few winter lower in the Encinal); it is most closely related to the Old World accentors. Other special breeders include Grace’s and Red-faced Warblers and Yellow -eyed Junco. Future taxonomic work may reveal species-level distinctions involving the local-breeding House (Brown-throated) Wrens and Brown (albescens) Creepers, just as it has for Cordilleran Flycatcher.